With interest rates sitting at historic lows, homeowners are taking a really hard look at their present mortgage commitments and wondering what they can do to re-evaluate their options. Naturally, they want to make the monthly payments more budget-friendly an way they can, and lower interest rates will go a long way toward accomplishing it. One of the more interesting refinancing options is the 15 year mortgage. The most appealing aspects of this loan type is the concept of having that home paid for in half the time of a conventional 30 year commitment. However, there a few more long range issues to consider before taking any steps to finalize this as a positive financial move. The best advice is to take advantage of a mortgage calculator to process all the potential costs and savings benefits, and calculate each possible monetary scenario to arrive at some reasonable framework of affordability. On the top tier of concerns will be the good chance that the monthly payments will be a bit higher than usual, and which may be reflected by the interest rate set by the lender. Using a typical example, say on a $300,000 loan package, and a 3.5% interest rate for the 15 year loan term, the monthly payments would be around $2,145. Compare this to a 30 year loan of the same value, yet with a higher interest rate at 4.25%, and the monthly payment would be roughly $1,475. This would be a hefty $670 difference to begin with. 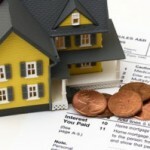 This scenario results in two key points, which could be balanced favorably against the higher monthly payment. The first is that in the 15 year commitment, there would be an approximate savings of $145,000 in interest payments over the life of the loan, along with building up the equity so much faster. This is reflected by the fact that there would be a $15,000 reduction of the loan principle in the first year alone, whereas there would only be a $5,000 reduction in the 30 year mortgage. Next, and just as importantly, is the interest rate difference, which, on a 15 year loan, are usually three-quarters of a point less than the 30 year. 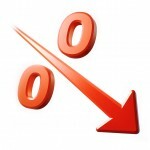 Combine this with shortening the loan term, say from 5 to 10 years from their current commitment, and, if they were to reduce their current interest rate by two or three percentages, there is a good chance that the monthly payment may not even change that much with the new loan, compared with the old. Conventional wisdom may indicate that not many borrowers can take on the added weight of a higher monthly payment, and that spreading out the loan term for longer periods of time is more economically feasible. But, if the lower interest rate takes care of the monthly payment amount well enough, and a borrower’s income stream can handle the payments, then the 15 year refinancing option is certainly the best choice. In addition, many lending institutions have the same qualification criteria for the 15 year loan as they do for the 30, along with other term options like 20 or 25 year commitments. The interest rates for these may not be much lower than the 30 year loan rates, but it certainly allows for more flexibility in loan options overall. Having as many loan choices as possible to select from allows this shorter-term refinancing option to have great appeal to more and more homeowners. In 2007, only 11% of all borrowers opted for the 15 year mortgage, while in the first quarter of 2012, that number rose to over 50%. When weighing the benefits of a 15 year refinancing option, doing the number crunching is the best method of determining if it is the right choice for your short-term budget requirements, and your long-term financial gains.